My name is George Esposito from Little Falls, New Jersey. I’ve been in the market for a pizza oven and actually thought about building my own brick oven. But I did some research online and discovered ilFornino Wood Fired Pizza Ovens. I decided to go and check them out at the location in Valley Cottage. The staff was great and the service was excellent. I purchased by Wood Fired Pizza Oven and was told how to set the oven up once I got home. It took about an hour. I fired up the oven, shut the door, and got the temperature to where it should be: 650-700 degrees. That same day, I made my first pizza. It was absolutely perfect! At 6:00 p.m., the temperature was at 600 degrees. I went back and checked it at midnight and the temperature had dropped to 300 degrees. This is not just a pizza oven. I’ve made several different dishes in my oven – seafood, breads, mussels in wine sauce, and one of my favorite things to make – calzones. 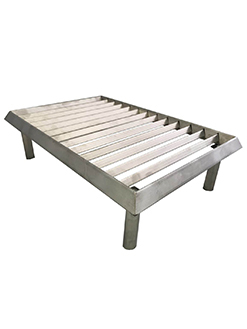 Today, I stopped in the showroom and picked up a baking rack grill – looking forward to cooking a T-bone steak in my oven. It was a pleasure working with ilFornino and the entire staff. Thank you.